Donovan Estate Agents has been operating for over 16 years. With our office now centrally located at the Spit in Mosman we are able to assist our clients on both sides of the Spit Bridge. Our boat is on the jetty out the front of our office. Where necessary, we are able to take our buyers to waterfront properties via boat, a great way to view some properties that are only visible from the water. Over the last 4 months we have provided over 160 market opinions to both non-waterfront and waterfront clients in Seaforth, Mosman, Cremorne and Balgowlah areas. At Donovan Estate Agents our team works diligently for each and every customer and I personally negotiate on all of our selling properties. At Donovan Estate Agents there is the option of selling via Auction or Private Treaty. This will be determined by assessing each property and its attributes and also the vendors individual situation. We feel that for a property to attain its true worth, it must be put to the market correctly. This will often involve advertising in both print and internet media. Marketing usually commences with internet advertising and follows with print media if required. Open homes are an essential part of a properties marketing. At Donovan we can offer our clients an introduction to the services of our interior designer, who can assist vendors with ideas on what they can do to enhance the features of their home prior to marketing if they so desire. Marketing costs vary as to the vendors situation, internet advertising is a good way to start a campaign. Often a property can sell within the first few weeks and print media may not be required, however it is always there as a useful advertising tool. At Donovan Estate Agents we are more than happy to tailor a campaign to suit each and every customer, it is our aim to always add to our testimonials of past clients, so we will work hard for you. On behalf of Joan and myself, I wish to thank you for the successful sale of 4 Julian Street, Mosman. From your first contact with us right up to the actual sale, we have been impressed with the sincerity of your application to the task of selling our property and the efforts you and your staff have displayed. At all times you have worked for us and kept us informed of the market’s apparent valuation of our property which enabled us to set a realistic reserve and obtain a successful sale. Recently we purchased our family home from Vince Donovan and his team at Donovan Estate Agents. Our dealings with Vince were always very straightforward and he was quick to respond to any of our requests, and to supply us with the information we were after. He had a genuine respect for his vendors and represented them admirably and honestly. He was always upfront about the vendor's expectations, and most importantly, the sale was negotiated to everyone's satisfaction. Thank you Vince, and your wonderful team. Hey Vince, Great result we are very, very happy with the price you achieved and the professional service you provided. 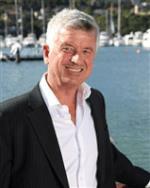 From the moment you stepped off your boat onto our jetty with our buyer we knew we had made the right choice re an Agent to sell our home of twenty years plus. Thanks. James Mark & Mary Anthony.